Whether you are a commercial business or a homeowner needing driveway repairs. We have the quality materials and experienced staff to get your job done. Magnus Paving is a full-service asphalt company offering a complete range of services from seal-coating to new construction . Whether you’re looking to seal your business’s parking lot or you need residential asphalt paving for your personal driveway, our skilled concrete and asphalt contractors can complete the task efficiently and on time. You can put your trust in our experience. Sealcoating protects asphalt from harmful UV rays, grease, weather oil and many other things that may harm your asphalt. Asphalt Crack filling is the placement of materials into non-working or low movement cracks to reduce the infiltration of water and other materials into the cracks. Here at Magnus Paving we know what tools and machines it takes to get the job done right. That's why we purchased two of the best machines on the market. The CW34 is an eight wheel pneumatic roller that features a modular ballast system and flexible operating weight of 10 000 kg to 27 000 kg (22,050 lb – 59,525 lb). Magnus Paving is a full-service asphalt company offering a complete range of services from seal-coating to new construction . 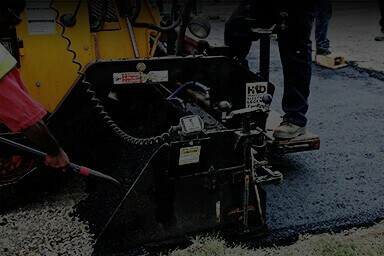 Whether you’re looking to seal your business’s parking lot or you need residential asphalt paving for your personal driveway, you can put your trust in our skills and experience.